Hi everyone, and welcome to the September issue of the Shanville Monthly. This is the month, of course, when we're welcoming our newest arrival into the world... Zom-B Baby! !I Yes, book 5 of Zom-B hits shelves in the UK and Ireland on September 26th, and will also go on sale in the USA, Canada, Australia and New Zealand not long after. You can read a bit more about the book below, and check out a couple of the images that series regular Warren Pleece has created for inside. There's also exciting Cirque Du Freak news for audio fans... a new, paperback edition of my latest book for adults goes on sale... there's a competition open to fans everywhere... updated tour news... and more. But first, let's begin with the Baby -- it looks h-u-n-g-r-y!!!! Zom-B Baby goes on sale in the UK and Ireland on September 26th, and in the USA a few days later on October 1st. It will also go on sale in Australia, Canada and New Zealand around the same time. You should be able to find the book in your local shop, or get the staff there to order a copy for you. But if you prefer to order online, you can do so through Amazon UK or Amazon USA. It will also be available to download onto eReaders. Plus it will be available in audio format, read by Zawe Ashton in the UK, and by Emma Galvin in the USA. 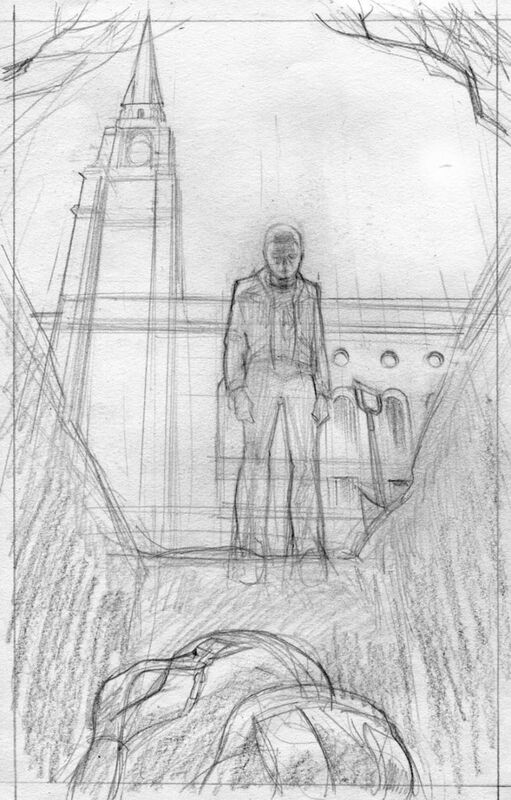 In the book, B has settled into life with the Angels at County Hall, but still doesn't feel completely at home -- based on what has gone before, B is convinced that enemies will attack and everything will end badly. And B still can't buy into Dr Oystein's allegedly heavenly mission. When Rage convinces B to take a walk (in his own inimitable fashion), B sets off to try and find a new base or purpose. But instead B discovers a nightmare come to life, and nothing is ever going to be the same again. 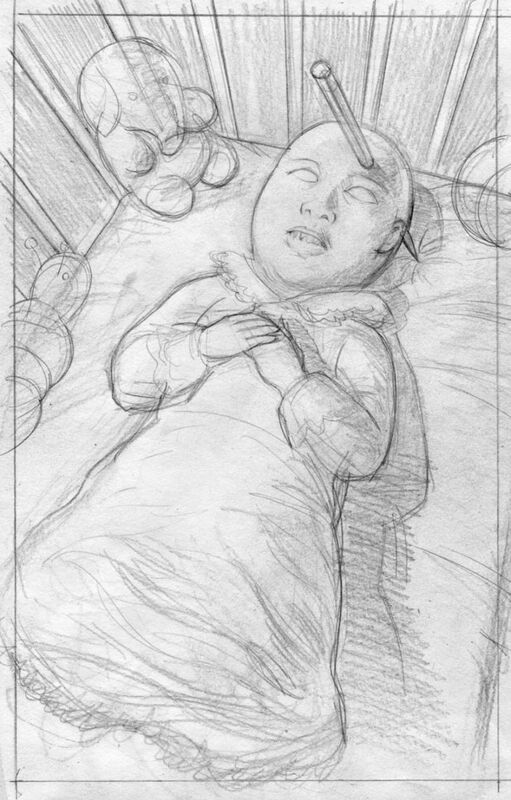 To whet your appetites for the book, here's another couple of the chilling images (to go with the pair I revealed last month) that will be appearing inside Zom-B Baby. These are by Warren Pleece, and they are rough drafts, not the finished version. 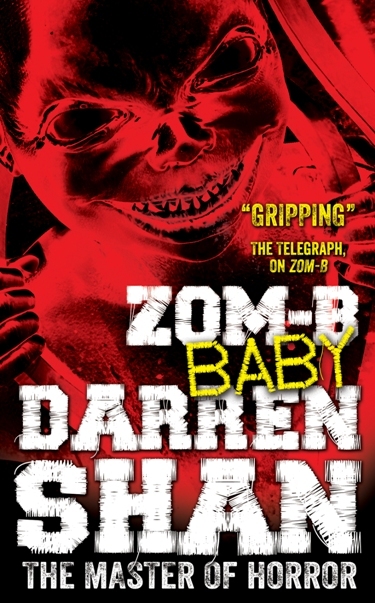 Along with the release of Zom-B Baby in hardback this month, book 3 in the series, Zom-B City, will also be released, in paperback format, in the UK and Ireland, on September 26th. As usual, it will feature author notes in which I talk about the writing of the book. But this paperback will ALSO include a short story called A Change Of Heart which I wrote for The Times last year. It's a fun, grisly little Halloween tale, a nice added bonus in my opinion! You should be able to find the paperback of Zom-B City in all shops where my books are sold (don't forget, you can always ask a member of staff to order books in for you if you can't find them on the shelves), or else you can buy it online from Amazon UK by clicking here. WHSmith are producing a special, signed, limited edition of Zom-B Baby. You can see the cover above, which is almost the same as the regular cover, but with a very different colour scheme. I spent a couple of days in Glasgow signing all 4,000 (four thousand) copies in advance -- ouch! As far as I'm aware the special edition will be sold throughout the WHSmith chain and web site, on a first come, first served basis. If you look on their site, it just shows the regular cover, but I THINK the special edition copies will be sold before the regular copies go on sale. If I learn anything more before the release date, I'll let you guys know. Apart from the different cover, and the fact that each copy is signed, there is no other difference between this edition and the regular edition. I revealed last month that that title of the 6th Zom-B book will be Zom-B Gladiator. I also announced that my UK publishers, Simon & Schuster, are planning a VERY special reveal for the cover -- it will be a pixel cover reveal. They're going to create a site for it, and fans are going to be able to go to the site and reveal a pixel by tweeting or sharing a link. As more and more of you do it, more of the cover will be revealed -- the time it takes for the whole cover to be revealed will thus be entirely down to you guys! We think this is the first time this has been done by a UK children's publisher, so we're all very excited about it! I will be sharing more details about this with you guys later in the month through my Facebook and Twitter pages, and in the October issue of the Shanville Monthly, but I can let you know that the reveal will begin on September 26th, the same day that book 5, Zom-B Baby, is released. Meanwhile, you might like to check out an interesting article about the cover reveal plan over on The Bookgazer. Although some of my Saga Of Darren Shan/Cirque Du Freak books were published in audio format in the UK, the series was never completed or made available in other countries. That’s all about to change! I’m delighted to be able to announce that Cirque Du Freak is being released in a brand new audio edition on September 1st, in both the UK and USA, and the plan is to record and release the rest of the books in the series as well, in the very near future (as you can see below). The narrator is Ralph Lister. I personally chose him to be the voice of “Darren Shan,” so I hope you enjoy his take on the book and its characters as much as I did! A BLAST FROM THE VERY DISTANT PAST! Oh wow! This is a video of me reading out an extract of Cirque Du Freak for the first time ever!! It was Halloween 1999, a few months before CDF was released in the UK. I had been trick or treating with my cousins and some other kids in the neighbourhood, and decided this would be a good time to try out a chapter from the book, as I had never read in public before. I’m not sure I ever read out this part again — I realised later on that the next chapter (where the wofl man bites off a woman's hand) worked better in a live context, and focused on that over the years to come. I had no idea that this video existed until my uncle-in-law emailed it through to me out of the blue. Seeing it brought back so many memories, of where I started and how far I’ve come since then. So, ladies and gentlemen, let’s take a little trip through time to the one, real, and only true start for the public life of Darren Shan!! To view this time capsule piece of Darren Shan history, CLICK HERE. I highly recommend this new interview with me, in which I talk not just about my YA books, but also drop some hints as to what’s going to be happening on the adult front in the near future... CLICK HERE. Hungarian Shansters might want to follow this fan-run Darren Shan blog, which presents lots of the latest Shan news in Hungarian.CLICK HERE. I will hopefully be making an announcement about my next book for adults in the November issue of the Shanville Monthly -- something for my older fans to be looking out for! The Saga Of Darren Shan is being released in a new-look paperback format in Sweden. I have added the covers for the first five books to my site. You can check them out here. l did an event at the Edinburgh Book Festival in August, my 14th year in a row there. As usual I had a great time -- I was signing for 3 hours after the event!! I also stayed on for most of the following week and saw lots of cool shows and comedians. If you want to read a comprehensive review of my event in Edinburgh, by a fan who attended, click here. I'm back on the road in September and October, to support the release of Zom-B Baby in the UK and Ireland. Almost all of the events have now been confirmed, though there's still a few details to be added -- I will update this part of the Monthly over the next few weeks, so check back later in September for the full, updated schedule. A public signing is open to everyone. A public event is also open to everyone, but you should check with the venue in advance in case you need to pre-book tickets, as space will be limited. School events are for invited schools only. I am always happy to sign as many of my books as fans choose to bring to events or signings. 13/9/13 -- please note, there has been a change to my schedule on Tuesday October 1st. The school event that was set for the afternoon has been cancelled because of a teacher's strike. Instead I will be doing an in-store signing in Waterstones Doncaster at 1.30pm. 1.45pm -- schools event, Limerick Libraries. 11.00am -- schools event, Cork Libraries. 2.00pm -- schools event, Cork Libraries. To book, ring 021 4924903. !CHANGE! 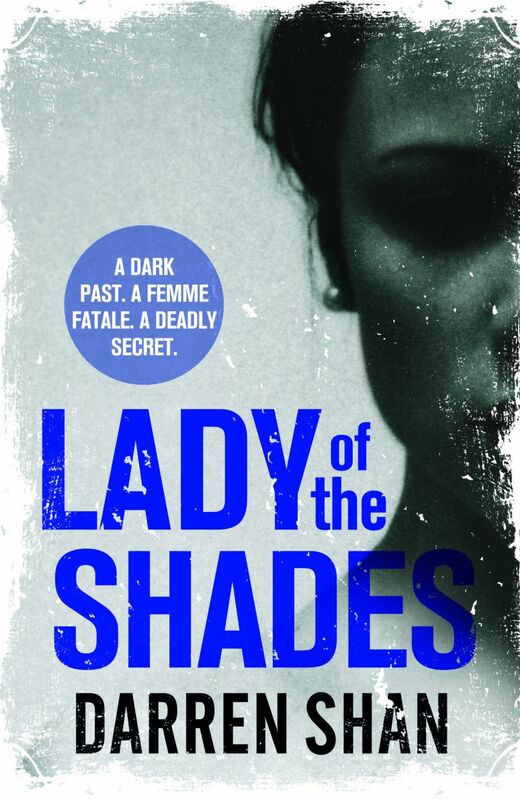 1.30pm -- public signing, Waterstones Doncaster, 27 Frenchgate Centre, Doncaster. am -- schools event, Ellis Guilford School, Nottingham. am -- schools event, Slough & Eton Business And Enterprise School. To celebrate the release of Zom-B Baby, which is the fifth book in the series, I am running a competition this month where you have a chance to win a set of signed copies of the first four books of the series!! Yes, signed copies of Zom-B, Zom-B Underground, Zom-B City and Zom-B Angels could be YOURS!!! There are nine prizes in total up for grabs, three sets for fans in the UK & Ireland, three sets for fans in the USA & Canada, and three sets for fans who live anywhere else in the world. The books are a mix of formats -- some are hardback, some are trade paperback, some are mass market paperback -- so most of the sets are also a mix of formats. 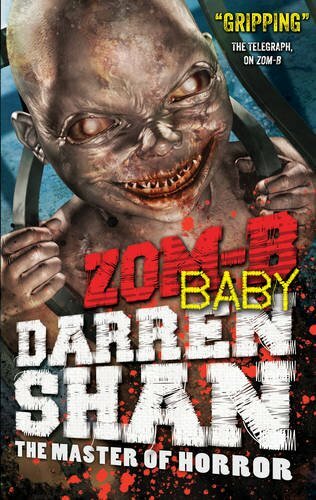 1) Answer this question: "Is Zom-B Baby a) the fourth, b) the fifth, or c) the sixth book in the Zom-B series?" (4) Closing date is midnight, UK Time, Sunday, September 8th, 2013. (6) You can only enter one of the competitions, and only ONCE. If you try to enter more than once, ALL of your entries will be disqualified. (8) The draw for the winners will be made on or after Monday, September 9th, 2013. It will be a completely random draw, made by Darren Shan personally (I use an online number generator to pick the winners). I will try to notify the winners by e-mail, and will post their names on the Shanville Message Board, in the October issue of the Shanville Monthly, and possibly on Twitter and Facebook too.